Elaborate costumes, larger than life sets, three spectacular actors, a real life story, and a whirlwind of characters and songs. No wonder,Sanjay Leela Bhansali’s ‘Bajirao Mastani’ is being touted as the next big thing in Bollywood this year! The film narrates the love story of the warrior, Peshwa Bajirao of the Maratha empire and his second wife Mastani. 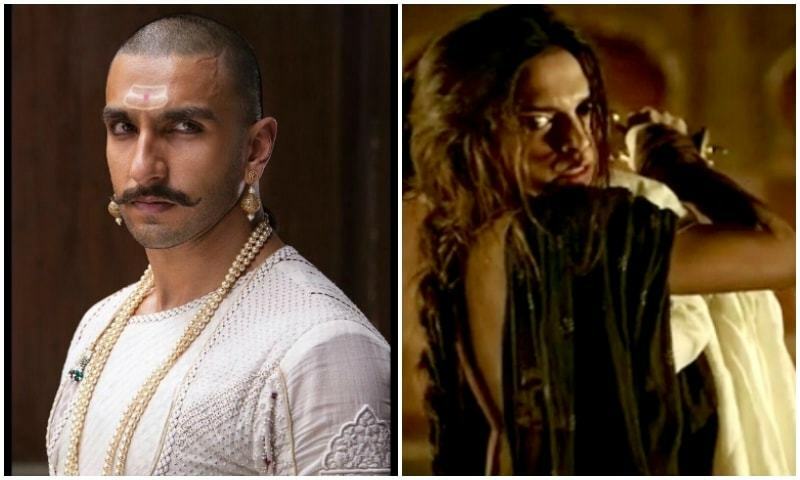 Ranveer Singh and Deepika Padukone portray the titular protagnists, and Priyanka Chopra plays Bajirao’s first wife, Kashibai. Sanjay Leela Bhansali is a master storyteller and this is one of his most ambitious projects. It has the typical Bhansali touch, everything from the set to the costumes and to the dialogues exude the exuberance and grandeur that one expects to see in a Sanjay Leela Bhansali film. The film is packed with action, drama and a few mention worthy songs such as Gajanan, Pinga and Deewani Mastani. The actors look every bit their character, complete with body language and the royal and rustic charm of the period that the film is set in. They have worked tremendously hard to get in sync with their character and it’s clearly visible from the trailer. The theatrical trailer certainly manages to capture your attention, if not leave you spellbound, as it demands a second viewing. The acting prowess of the actors and storyline looks promising and certainly ignites the imagination of the viewer. The chemistry between Ranveer Singh and Deepika Padukone is definitely something to watch out for, especially after what we saw in Ram Leela. Priyanka Chopra’s character adds the required twist and melodrama to the plot and critics have given her credit for carrying off a role like this. Even though the film hits theatres on December 18th, 2015, there was a special screening held specially for celebs and critics, both of whom couldn’t stop raving about it! The film does clash Sharukh Khan and Kajol’s Dilwale as both are Christmas releases. However, Bajirao, is being touted as the biggest release of the year. Well, it certainly has been a while since we’ve witnessed something of such sheer magnificence and opulence. We hope that this film surpasses our expectations and proves to be a true blue Sanjay Leela Bhansali blockbuster exactly as we know it!